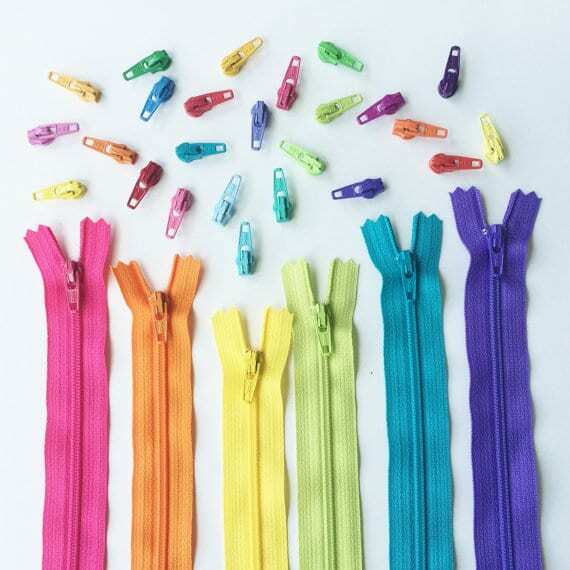 Zipit on Etsy offers YKK brand zips and extra pulls in colors and sizes for my patterns. Size #3 is an apparel size, perfect for small projects. Size #5 has larger teeth and is ideal for a medium to large purse or tote. – The One-Zip technique works with polyester, all-purpose, basic apparel zippers (size #3 or #4.5) by YKK, Coats & Clark, or Talon brands. – One-Zip technique does not work with invisible, metal, sport weight or Sullivan’s brand zippers. 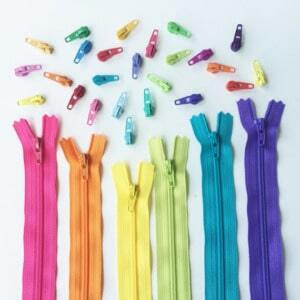 – Test zips and pulls to make sure they work together before installation.